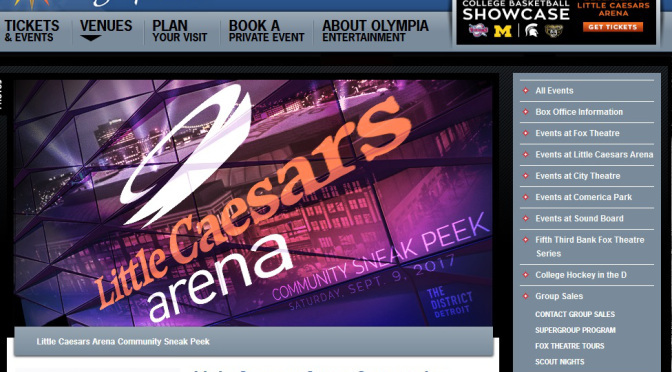 DETROIT — Olympia Entertainment Inc. and Comcast Corp. Tuesday announced a 10-year technology partnership that will deliver multi-terabit network capabilities to Little Caesars Arena and the rest of The District Detroit. The companies said the all-fiber network will deliver “multi-gigabit speeds” throughout the arena, and to every business and residential unit in The District Detroit. More than 1,000 WiFi access points will be installed throughout the arena and surrounding buildings and event spaces. Businesses located in The District Detroit will be able to manage their own private, scalable network for heavy-bandwidth cloud systems and web conferencing, while offering a separate WiFi experience for patrons. Also, residences in The District Detroit will have access to multi-gigabit speeds and Comcast’s Xfinity X1 platform. Other available services include Xfinity Voice, Xfinity Home and Xfinity Mobile, the company’s recently launched wireless service. Comcast officials said the company’s network investment in The District Detroit is more than $11 million, which will provide video, voice and high-speed fixed and WiFi internet throughout the 50-square-block project. The company’s advanced network will feature dual 100-gigabit-per-second circuits to Little Caesars Arena and will have plenty of extra capacity to support future applications and technologies and greater data consumption. “The District Detroit has become the new platinum standard for internet innovation and developers will look here to model the technology infrastructure of future arenas and mixed use communities,” said Tim Collins, senior vice president of Comcast’s Heartland Region, which includes Michigan. Little Caesars Arena opens Sept. 12. To learn more about Olympia Entertainment, visit www.OlympiaEntertainment.com. More about Comcast at www.comcast.com.